When the kit arrives in the mail, it contains a tube that you open, spit into up to the fill line, seal, and mail it back to Ancestry. There is a number on the kit that you use to register your account on the website and this will allow you to view your results once they are in. We were all very fascinated by our results. My husband and daughter are far more exotic than I am. 🙂 I wrote a blog last year about our results that you can check out if you want all the details. Neanderthals were hunters who did live in caves, among other places, and they knew how to make and use fire and stone tools. Their remains have been found in Western, Central, Eastern, and Mediterranean Europe, as well as parts of Asia. No remains have been found south of the Levant, east of Siberia, or north of Wales. They are believed to have become extinct about 40,000 years ago. 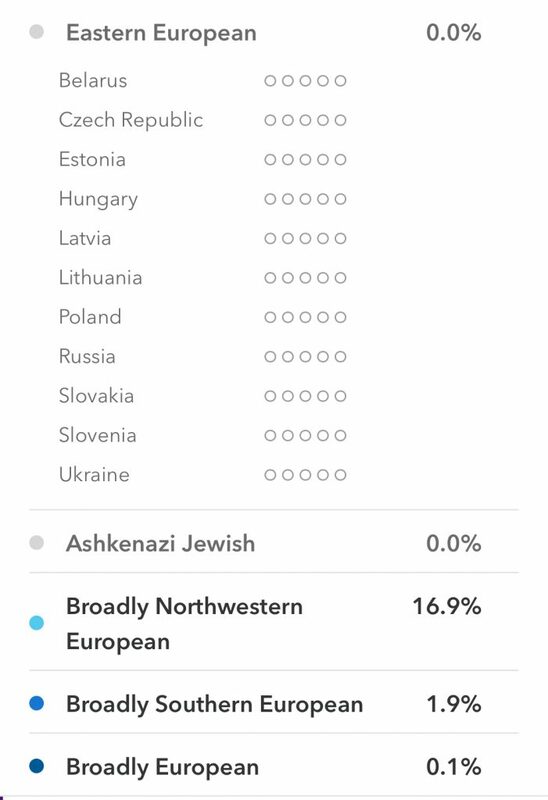 I was curious to know about whether I had Neanderthal DNA because my grandmother’s people are from the area of Germany that includes the Neander Valley. So I ordered a kit. 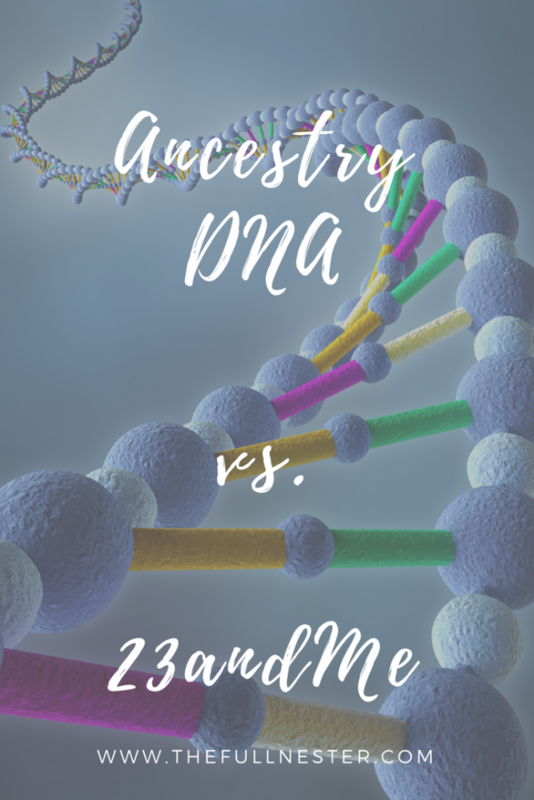 With 23andMe, you can choose to order just a DNA kit that gives you your genetic breakdown, or you can choose the kit that also analyzes your DNA for genetic health risks, your status as a carrier of certain medical conditions, and wellness reports. I ordered the basic DNA kit, which is comparable in price to Ancestry, at about $99. The kit with the medical component runs about $139. 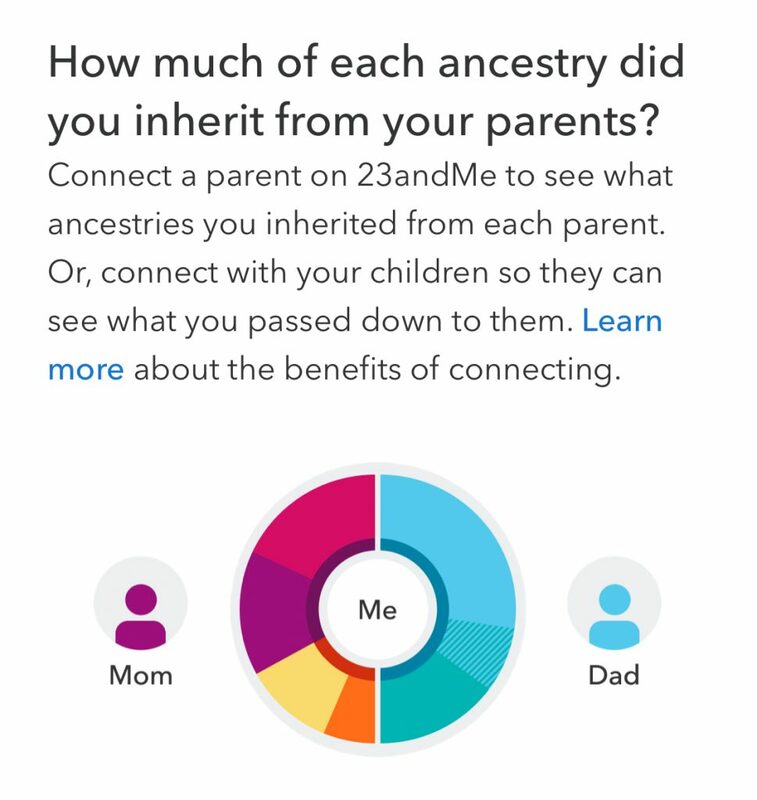 Like Ancestry, 23andMe runs specials around certain holidays. This kit works the same way as the one from Ancestry, just spit and mail it off. The results from both companies can take up to six weeks. Mine both came back a little faster than that but if you purchase during one of the promotions it may take the full six weeks. As you can see, my British/Irish/Welsh/Scottish percentage result is very close in both tests, around 62%. 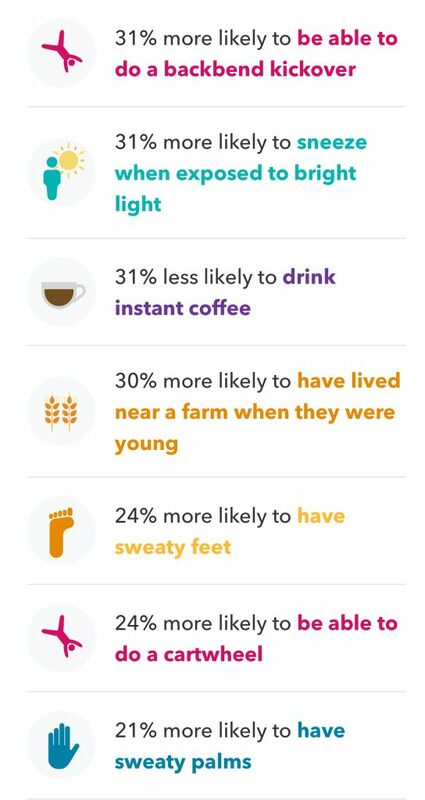 The Scandinavian percentage is way off between the two, with the Ancestry result at 15% and the 23andMe result at 2.7%. That’s a big discrepancy. 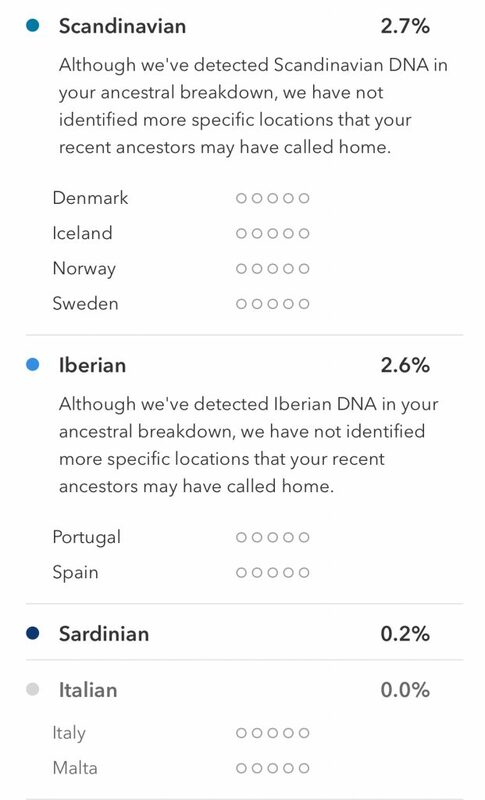 The Iberian percentage is a little off, at 1% with Ancestry and 2.7% with 23andMe. 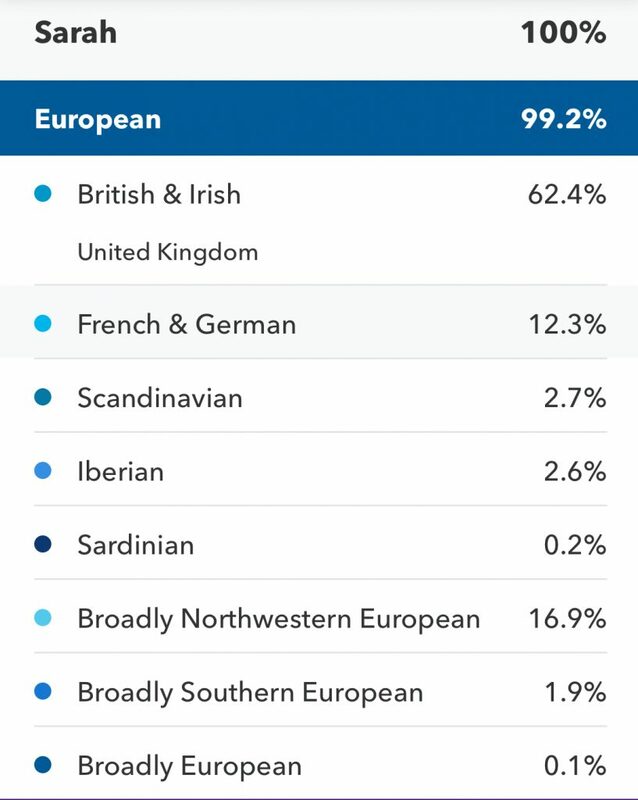 The 23andMe test shows some Sardinian DNA, which the Ancestry test does not show. 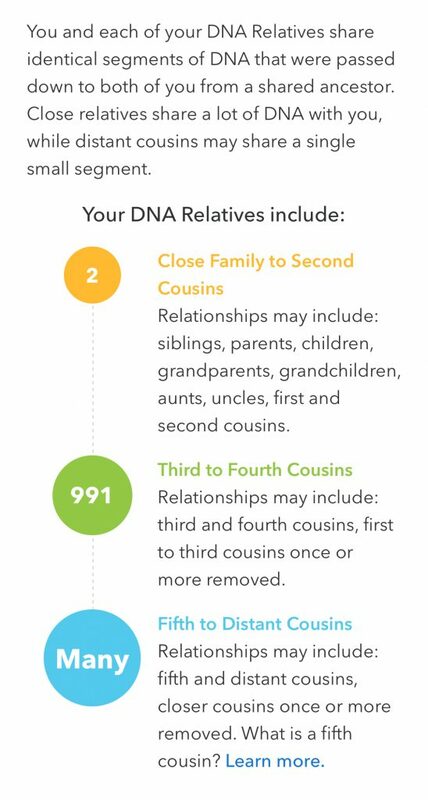 This is pretty much the info you get with Ancestry, in addition to some timeline information and migration patterns. 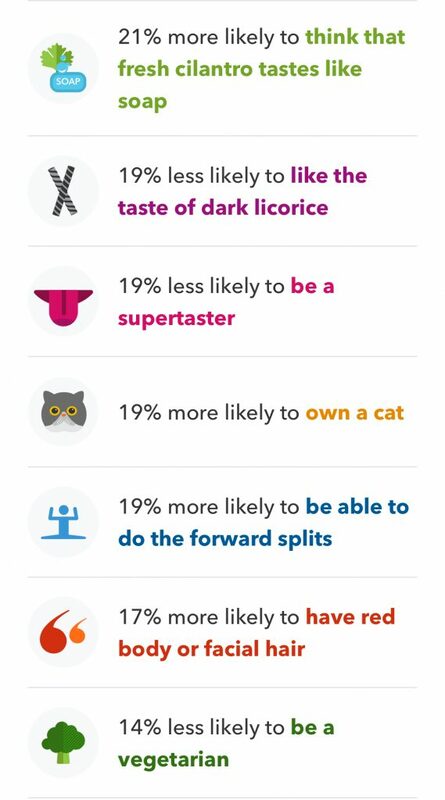 23andMe gives you a lot more information, almost too much to take in. It takes a while to digest it all. For instance, it explains which generation your different DNA comes from, and how far back that is. For instance, with the Sardinian DNA, the information says that I most likely have a fourth, fifth, sixth, or seventh great-grandparent who was 100% Sardinian, and this person was most likely born between 1690 and 1780. I’d love to know who this ancestor is, since most of my family was in the United States by the 1600s. 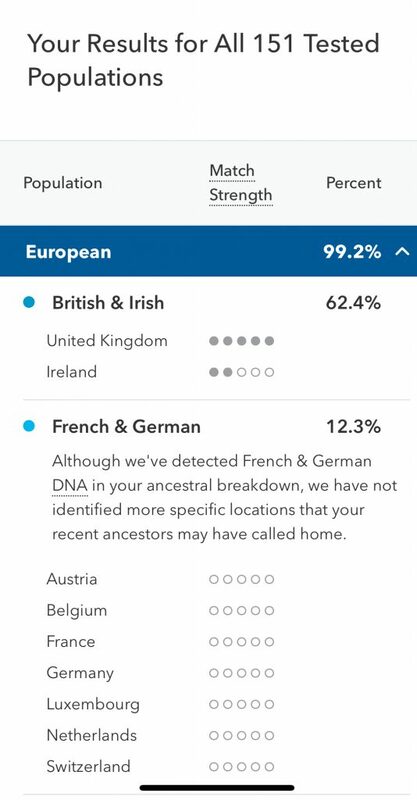 You can see I got more of my DNA from my dad. It also provides information on your haplogroup, the group with which you share a common ancestor. 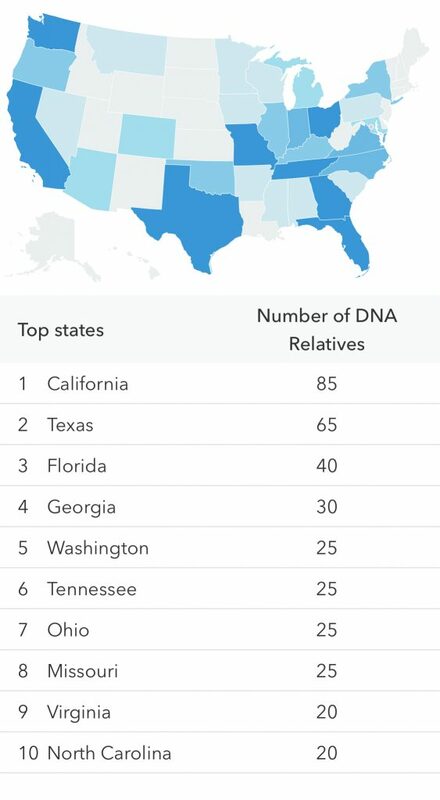 The information indicated I am in an uncommon haplogroup, with 1 in 3,200 other 23andMe customers sharing my ancestor. 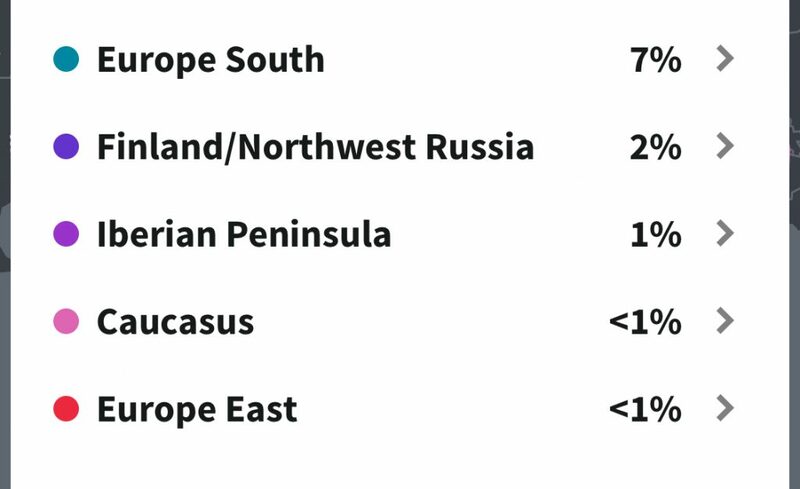 It also shows you the migration patterns of the ancestors in the haplogroup. This is where it might get a little interesting for someone with a religious background. 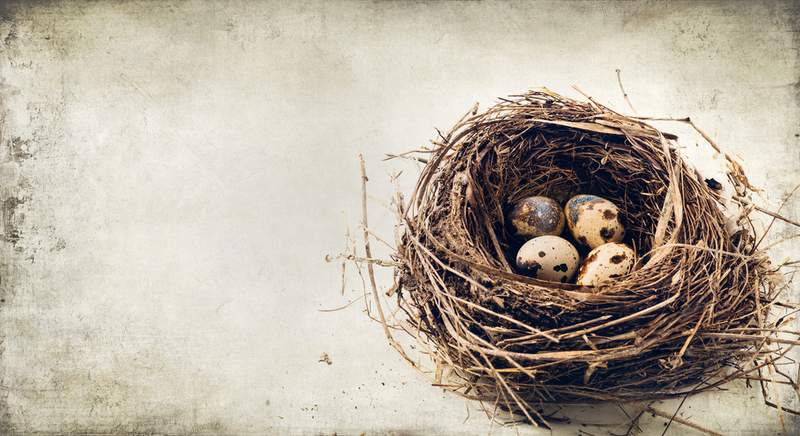 It makes the assumption that everyone’s ancestor eventually ventured out of Africa. If your religious beliefs include creation and the Garden of Eden, which Christianity teaches was most likely located in Mesopotamia, (modern day Iraq) then this ancestor information may be different than what you’ve been taught. I read all this information with a grain of salt anyway, and don’t take any of it too seriously. 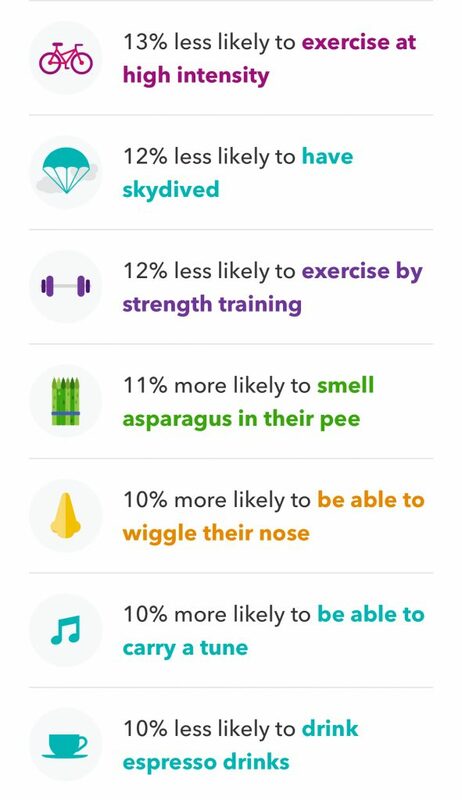 As far as the amount of information, I think 23andMe gives more bang for the buck, but as I said, it is almost TOO much info to digest. I imagine if you purchase the kit that also provides medical information, it would be even more overwhelming. So just take your time with it. I look at this information as informative and entertaining. If you come into this process from that point of view, it can only be a fun thing to do. Now back to that Neanderthal DNA. 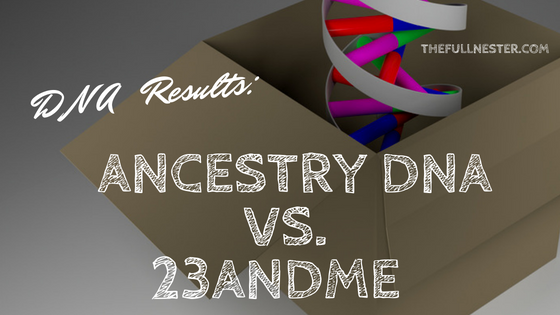 According to 23andMe, the person who has tested with them with the highest number of Neanderthal variants has 397. Variants are determined by comparing an individual’s DNA with that of a reference genome, or set of chromosomes, to determine similarities. 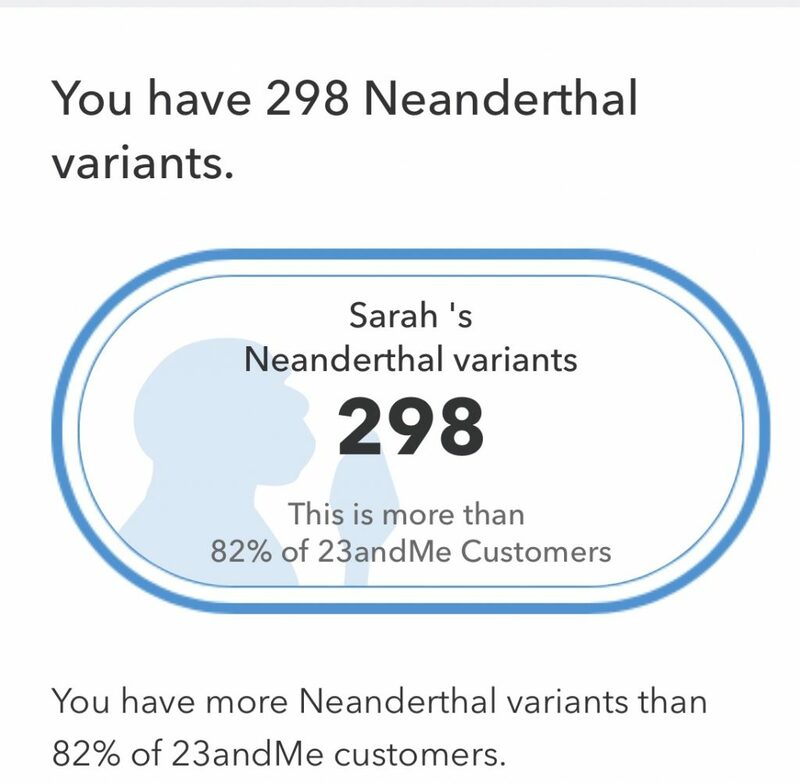 I have 298 variants, which is more than 82% of the other 23andMe customers who have submitted DNA. What about you? Have you had your DNA tested? If so, did you find out anything that surprised you? Let me know in the comment section! ¡Fabuloso! What a lovely post. I am fascinated by genetics. 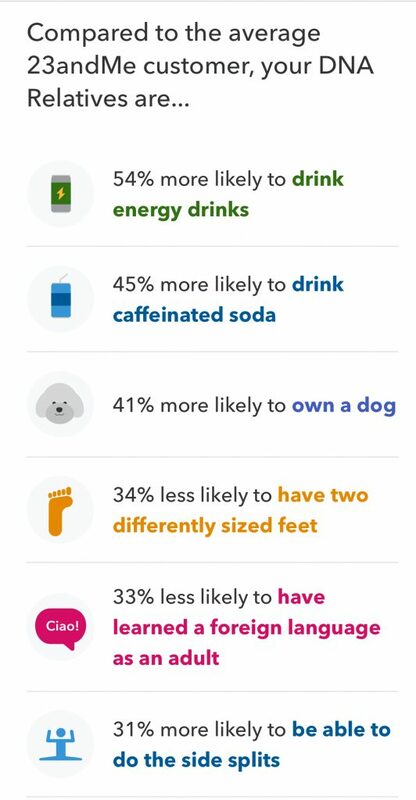 Being Mexican, it is hard to fully identify with one culture genetically, since the colonization of Latin America created so much mixing and variation in the populations of the areas. 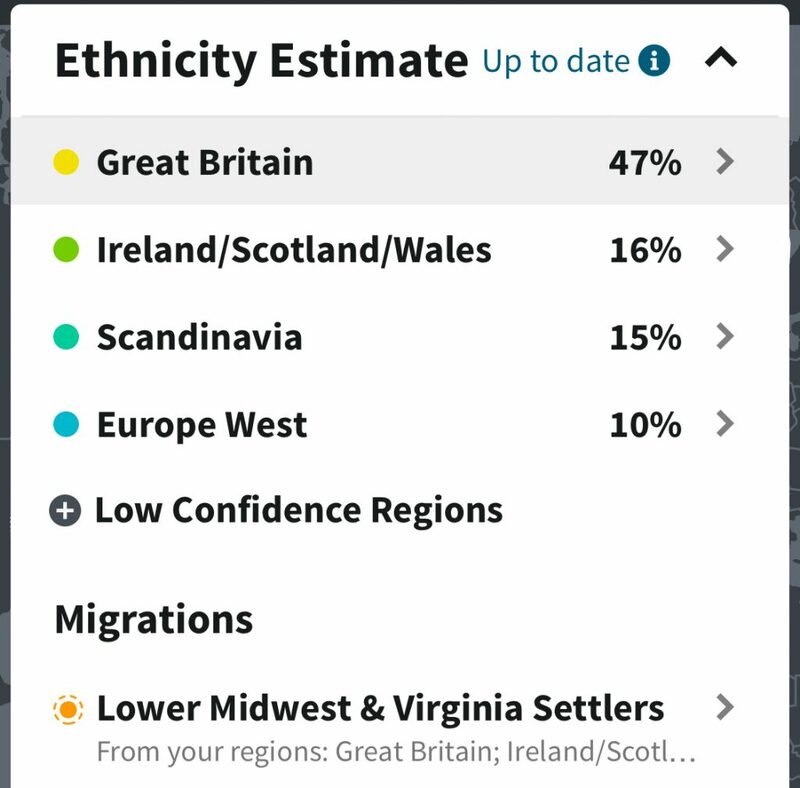 I took the Ancestry test and found a large percentage of Native American blood and also a surprising amount of the UK ancestry. Quite the surprise! It just goes to show how personal racial and ethnic identity are. Now if we can just get a Hispanic Disney princess! Thanks for the insight.